John and Pearl don't make your grandmother's pearls. In fact, there's not a pearl to be seen - this young, giddy jewellery label makes big, bold colourful pieces. It's bright without being childish, spiky without being goth, tough but wearable with a floaty dress as well as a t-shirt and jeans. This is statement jewellery where the statement is "OH HALLO I LIKE BRIGHT COLOURS" rather than "I am a terribly sophisticated lady who always wears matching underwear and never hides bills behind the toaster." And now's a perfect time to browse as they've got 40% off everything. Dainty collars too twee for you? 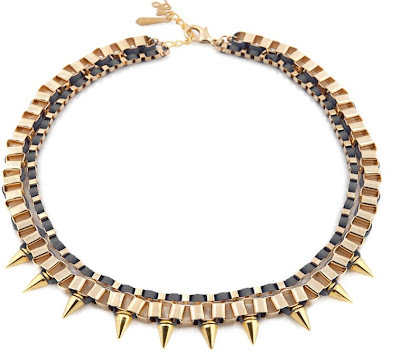 Then this loop necklace, styled like industrial lace, might be right up your alley. 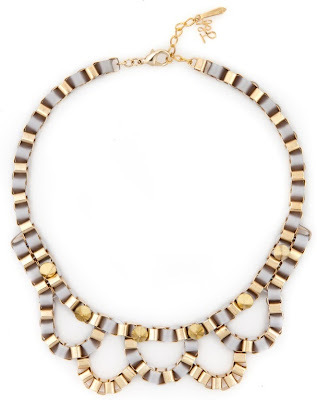 Wear it over your best dress or a plain t-shirt and it will look amazing. And look, they've even got a photo of popstrel Leona Lewis wearing it. Bet she paid full price and didn't get it for £60 though. Spendthrift Leona. 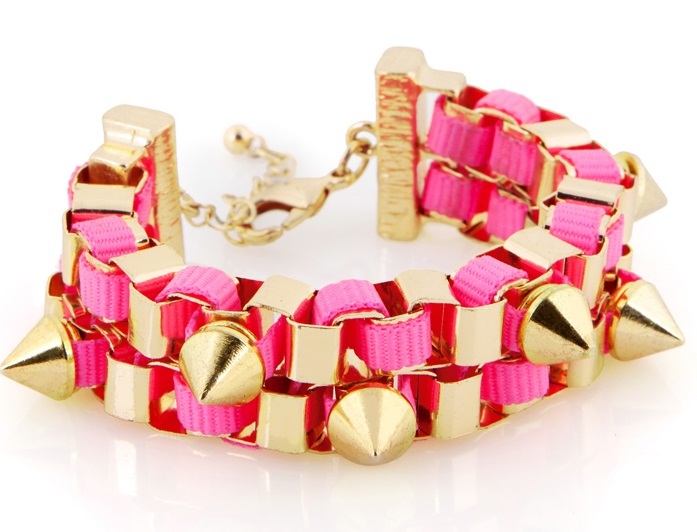 The contrast of the girlish pink and the tough studs on this Susi bracelet is what makes it so awesome. It's £42, down from £69. The Polly bracelet is positively demure in comparison. Choose from gold and blue, gold and grey, or gunmetal and green. You could definitely wear this to the office without everyone pointing and screeching at it, or your boss sending you an email with the subject line 'Suitable work attire: a reminder'. It's £48. The Fifi necklace is one of John and Pearl's bestsellers. 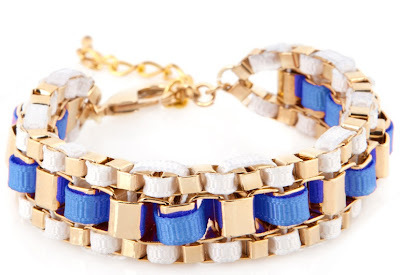 It'd made of two chains: a chunky studded one and a finer one woven with ribbon. I love the mix of delicate and tough. 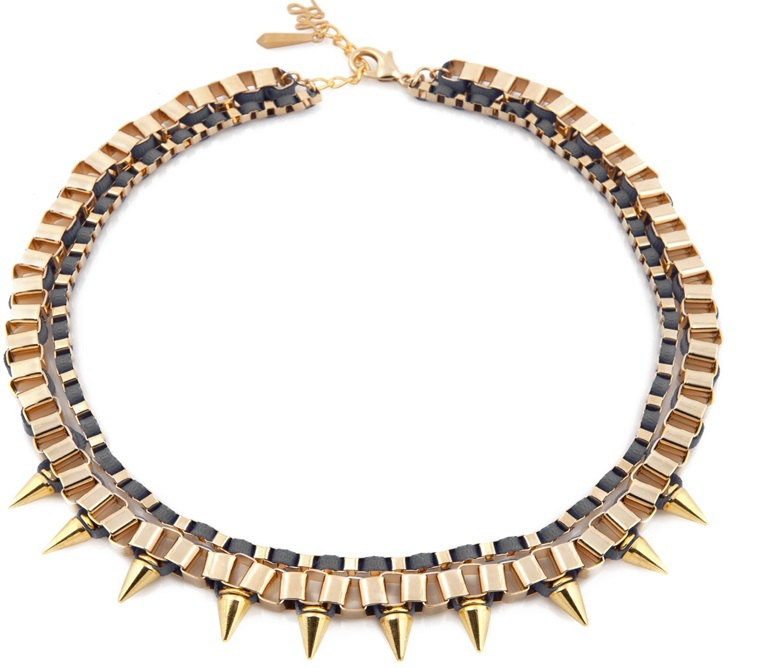 Snap it up in gunmetal and yellow or gold and grey for £50. 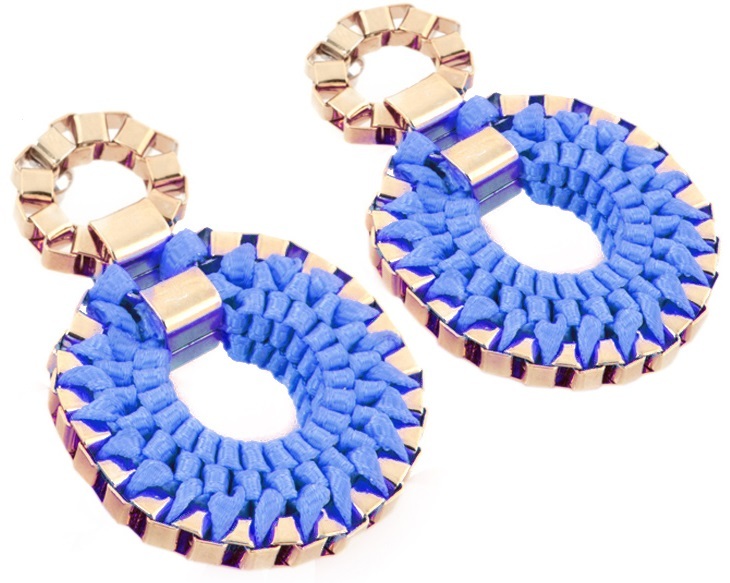 John and Pearl suggest wearing these Lola earrings with a "scrappy updo, t-shirt dress and sneakers", which sounds very much like my average Sunday morning. Sorry, but if I'm paying £60 for earrings, I am wearing them with my Very Best Clothes. They come in pink and green too. Go and browse everything now, it won't take long. Got any favourites that I've missed? I KNOW RIGHT? I started out not sure about them, and fell in love with them the more I looked. My wrist is SO BARE with a spiky pink bracelet. I really like that loop necklace, but I'm a bit put off by the fact popstrel Leona Lewis has it. She's probably put it in the bin on a whim now. She's fickle, that one.